SOUL ART is a process that connects you with your Creative Spirit, your inner voice.... your divine self and guides you in creatively expressing this voice. Its value is in the way it encourages you to look deeper to find your own true authentic being. 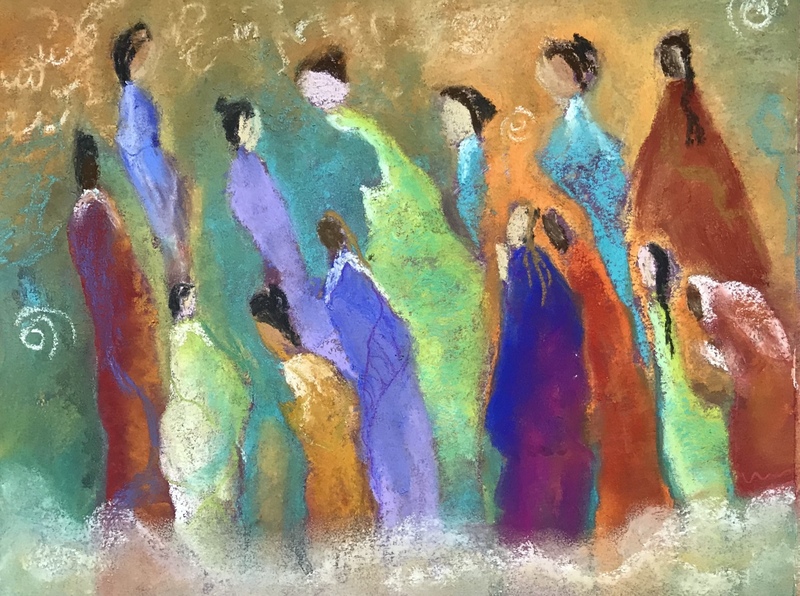 It begins with writing a Guiding Intention and then uses various art experiences as a framework to access your creative expression intuitively through such doors as painting, collage, symbols, etc. This then leads you to the Insight/Dialogue stage and closes with a Spirit Action (my favorite part)! It is a pure harmonious expression of yourself in a fun, kind nourishing circle of women. Small group workshops or one-one-one intensives.